Public policy is a policy that is generally established to govern a country. There are many scholars who attempt to explain the true meaning of public policy to make them easier to understand and more effectively implemented. There are several theories developed in the analysis of public policy, including systems theory, group theory, elite theory, the theory of rational and public choice theory. Public Policy is not something weird or unusual because it is run on any country by the government to ensure the administration of the country can run smoothly and perfectly. However, there are differences in implementation depending on how the rules of a country is governed. So if a country wants to achieve a higher level of development, it must have policies that cannot only use the best resources are very important but it can narrow the gap between either race or region. In this regard, it is important to ensure that the policies are made constantly to reduce the gap between races and religions in the country. This assignment will compare the two theories of public choice theory to the rationalist theory. At the end of this assignment will also discuss the theory is more compatible with public policy in Malaysia including to clarify what is public policy, the types of public policy, what is policy analysis, what is theory of rationalism, what is public choice theory and the development public policy in Malaysia. Thus the theory that more suitable for use in analyzing public policy in Malaysia will be describe at the end of this assignment. Before discussing the comparison associated with public choice theory to the theory of rationalism to determine which of the theories most appropriate for use in analyzing public policy in Malaysia, it is necessary first to understand exactly what is meant by the public policy, public choice theory and the theory of rationalism. There are many scholars who have been tagged on the meaning of the public policy. For example, Thomas R. Dye defines public policy as any government election on whether to make something or do something. This means that governments are formed either at the national, state or region must have a policy that was established and implemented for the benefit and the benefit of the people. In addition, the views of the writer of Carl J. Friedrich in his book 'Man and His Government "has stated that the policy is a basic course of action that needs to complete an objective or objectives and goals or even difficult to know the purpose of government, but the idea that policies involving the treatment of action is part of the basic definitions. For the degree in Malaysia, Dr Ahmad Attory Hussain interpret public policy as a program or project planned by the government which has the purpose and specific goals. James E. Anderson also defines the direction of policy actions have a purpose of the perpetrator or a group of actors in the handling of a matter or matters. This definition emphasizes the basis of what actually happened, whether positive or negative from the point and not what was intended or desired by a party, especially the government. It distinguishes a policy with a decision made by the government. Public policy is generally defined as actions taken by the government with a specific problem. Kilpatrick also defines public policy as a system as "courses of action, regulatory measures, laws, and funding priorities concerning a given topic promulgated by a governmental entity or its Representatives." According to some definitions that have been specified, it can be understood that as a result of public policy in the form of options and solutions to the problem, a goal or objective, a series of programs, a provision, law or regulation. In conclusion we can state as any public policy decisions and actions of the government to do or not do something that had been expressed by Thomas R Dye. According to Chandler (1983) public policy can be classified into four types: the basic form of regulation (regulatory policy), policy form regulation (regulatory policy), distribution policy (distribute policy) and regulatory policy. This policy determines the rules or procedures for administering the activities of public and private organizations and individuals. The basic thing in this type of policy is a legal arrangement in which the law will be explained. For example: the Dangerous Drugs Act and Clean Efficient Trust. This policy aims to provide equality of benefits provided or to transfer the benefits / resources available in the country or even to remove the sources of national output than half the group to another group. For example: taxation and subsidies. This policy focuses on equal opportunities for all citizens to enjoy the wealth of the country, in addition to bridging the gap between possession people's national resources, for example the New Economic Policy. This policy aims to create national unity and peaceful situation in the country. It also involves foreign policy in keeping the territorial integrity and national sovereignty. Such policies are not focused on specific individuals or organizations, but it is in the best interests of the nation as a whole. In the book Environmental Policy in New Zealand. The Politics of Clean and Green, written by Robert V Bührs, Ton and Bartlett, has listed three general approach to policy analysis. i. Analisentric approach that focuses on the approach to separate problems and solutions. It involves micro scope, the interpretation is usually a technical problem. The main goal is to identify the most effective solutions and the most efficient in terms of technical and economic, for example, the most efficient allocation of resources. ii. The approach focuses on the basic processes involved in the political process and the entities concerned. Meso-scale in scope, the interpretation of the problem is usually political. The aim was to determine the processes and methods used and to try to explain the role and influence of the entities involved in the policy process. By changing the power and influence among other groups, such as strengthening public participation and consultation, the solution to a problem can be identified. iii. Meta-policy approach is a systems approach and the context, the scope of the macro scale, the structure is usually a problem of interpretation. It aims to explain the factors the policy context, which is what political factors, affecting the economic and socio-cultural problems. Because of problems can arise due to structural factors, such as an economic system or political institutions, the solution to the problem is likely to involve changes in the structure itself. Policy analysis in general means to determine a variety of alternative policies will most achieve certain goals set forth in the light of the relationship between policies and goals. However, policy analysis can be divided into two main areas. Firstly, analysis, policy analysis, for example, it tried to explain their policies and developments. Policy analysis is prescriptive, for example, it is involved with the formulation of policies and proposals. This can be notice for example, to improve social welfare. Areas of interest and the purpose of analysis to determine what type of analysis performed. The combination of policy analysis, together with the assessment program will be defined as policy studies. Rationalism is one model in Public Policy. Rationalism is an action taken or done and according to their view, the choice is rational. This theory is usually based on the ongoing conflict. Thomas R Dye explained the purpose of rationalism as a policy 'to achieve maximum social' which the government should choose policies that provide the maximum benefit for the community. This model was developed from the model of cost-benefit analysis. This model says that the process of policy formulation should be based on rational decisions that are taken into account to more emphasis on efficient or economical aspects. According to Dye, to choose a rational policy, policy makers must take into account the five things that the public knows the value of options and problems, knowing all that there are policy alternatives, knowing all the consequences of each alternative policy, calculate the ratio of costs and benefits of each alternative and selecting policy The most efficient policy alternative. However, the theory of rationalism has many problems and obstacles for implementation, including for implementation of the government even if it is seen as something rational. Dye present some views on these issues and barriers. Firstly, Policy makers are not faced with concrete problems. Difficulties in limiting the problem itself or even fail to define the problem clearly. Secondly, it is not realistic in the case of claims made by decision makers. Thirdly, Policy makers are usually faced with a situation of conflict judgments deal. Meanwhile, contrary to the values that are not easily compared or measured performance. Fourthly, the high-Policy makers do not intend to make decisions that are targeted to the social objectives, but rather to attempt to produce their own returns and rewards, including power, status and wealth. Fifth, Policy makers have many shortcomings, those needs, obstacles and deficiencies, which caused them not able to take decisions on the rationalization of the high. Sixth, there are many obstacles in collecting all the information necessary to identify all possible alternative policies and the consequences of each alternative, including costs of information gathering, information availability, and time is needed. Seventh, although the computer analysis technique to utilize the most advanced policy makers do not have enough skill to calculate the cost and benefit ratio is appropriate if a large number of different values the political, economic, social, cultural stake. The theory of rationalism is also a very rational policy with maximum benefit to the public. Benefits must be a maximum of the cost of materials used. For example, if there are three options, A, B or C government must choose which one has the most benefits compared to cost, energy, time, who is involved and so forth. This means that this policy is considered rational if it satisfies the taste of the majority and do not require the sacrifice of values held. Profit is not related to money, but also politics, economics and social values. Looking at the number listed is the weakness of these theories still have significant weaknesses, but if we are guided by the basic purpose of achieving the maximum social 'which the government should choose policies that provide the maximum benefit for the community it will be seen as a theory of good and effective public . Public choice theory is a theory developed by James Buchanan and Gordon Tullock has been written in the book The Calculus Agreement in 1962. This theory attempts to explain how the decision was made public involving the interaction of the public vote, the politicians, the bureaucracy and political parties. Public choice theory even when viewed as a theory of economic concept, but it is also used to explain how to make a political decision which is contrary to public preference. This theory attempts to apply economic theory and methods in political analysis. Buchanan states in his book that the public is a political choice without the romance of common sense. Henri-Frederic while also stating that common sense is the measure of the Possible, it is Composed of experience and prevision; it is calculation applied to life. According to Dye, public choice theory recognizes that governments must carry out certain functions that cannot be controlled by the market correcting 'market failures'. Thus Dye gave two suggestions that the government must provide the public needs and services to all people if the need be given to anyone. For example, national defense should be available to the public because people do not have the ability to provide it. Secondly, the government should intervene in market failures and externalities justification. Public choice theory helps explain why political parties and candidates, candidates often failed to offer clear policy alternatives in the election campaign. This is because parties and candidates are not interested in advancing the principles but only to win elections. Dye says that the political parties to formulate policies to win elections and they won the election not to formulate policy. Looking at the various views of the public choice theory, the general conclusion of this theoretical goal. Firstly, this theory provides more options for the public to determine if the want to be obtained and achieved. Secondly, public choice theory is a decision made by an individual who brings to the comfort and welfare of the public. It results from the views of individuals rather than governments. Thirdly, public choice theory wants to reduce government interference in decisions and actions. This is based on the needs of people who should be given priority. Fourth, this theory wants the maximum profit earned by the people. There are several aspects to be discussed at the public choice theory of involving constitutional and democratic government, voting, political manipulation, rent-seeking and collective decisions. Constitutional, democratic government is attempting to revise the system of government in which the public is defined as a result of the constitution. It is an opportunity to get involved in politics. It also would reduce the inequalities in the distribution of rights. It will also encourage the government response to the needs of the individual. Both are voting and it is one way of making decisions. Individuals will make selection decisions for themselves and the result is a collective. However, this method is not effective because the results will be achieved is not the result of the desire of all parties. These three types of political manipulation. Public choice figures have made a study of how politicians interact with each other, between voters and their supporters to achieve their goals. The fourth matter is related to the rent-seeking. Public choice a lot of talk about using a search-rent action by the government to obtain special treatment at the expense of the public. The last of the fifth was a collective decision to review the progress of good options for distributing public goods problem. It is a challenge to determine what is best "solution is not perfect." Malaysia is a unique country because it is a country that is derived from two regions that is Peninsular Malaysia, Sabah and Sarawak. 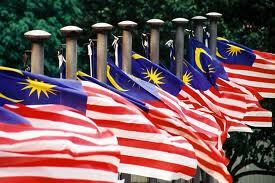 Malaysia is a country of different races, ethnicity, religion and culture that reflects the diversity of the country. Malaysia also does not deal with natural disasters that continue to produce and delegated much like petroleum, tin, and so forth. Therefore, Malaysia should have a policy not only to mobilize resources, but can reduce the gap between people and the region will further enhance the relationship between race and religion. Before Malaysian independence, this country has been experiencing some era that should be taken into account in determining national policy. Starting with the British colonial era in which colonization goal is to get as much revenue as possible to bring back to colonialist countries of origin. Policy of 'divide and rule' has lead the country still has the same characteristics in terms of physical or mental impairment that prevents the existence of a cohesive community. It gives effect to the economic imbalance between the races and regions. 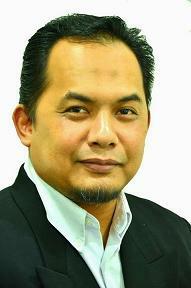 As is understood about what public policy and it also performed in Malaysia. Established public policy is an integral part of government efforts to fulfill its responsibilities in providing a better life for the people. In general, any decision taken by the government would have the objectives, goals and objectives to serve as general guidelines to overcome the problems of a country. Meaning, policy goals must be clear and the solution to most problems of the people or target group policy. It aims to create a nation of peace, harmony, and stability so that all citizens can enjoy the benefits and receive fair treatment from the government. To achieve this, governments need to develop policies, projects, programs, plans, or any activities to ensure that people enjoy the comfort and progress of life, and maintaining political stability, social and economic continuously. This is done through various means, such as drafting or implementing "public policy". Public policies covering various aspects such as education, rural development, security, youth, women and children, social welfare, taxation, international relations, financial management and economic development. In general, any decision taken by the government would have the objectives, goals and objectives to serve as general guidelines to overcome the problems of a country. In short, policy objectives must be clear and the solution to most problems of the people or target group policy. Examples of Public Policy in Malaysia is the New Economic Policy, National Development Policy, National Policy on Women, National Education Association, Incorporated Policy, Privatisation Policy and others. Long, Medium and Short Term Plan is explained in the policy, strategy and goal development. The Plan is indicative planning that is used by all parties to plan their development programs. So far the Government has issued three Outline Perspective Plan of five years planning and 10 Review of Five Year Plan. Each year, the Government will present the annual budget in which there is a short-term policies and strategies to promote economic development. Apart from these Plans, the Government has launched Vision 2020, which contains development goals to be achieved by 2020. The third era is the era of independence until the events of Black May 13, 1969 which has resulted in ethnic conflict that resulted in the killing of people. Thus, it has revealed the importance of balance between national socio-political progress with the advancement of all races and income distribution. The fourth era is the era of the New Economy in 1970 until 1990. New Economic Policy was enshrined in the First Outline Perspective Plan (OPP1). During this era, the goal is to eliminate poverty and develop a balanced economic structure which is not given priority in order to achieve national unity. Two main strategies for achieving these goals is to eradicate poverty and restructure society to eliminate the economic disparities between the races. Among them, the goverment have introduced a national rule that called for all races for the state's pledge allegiance to the country and give priority to unity among all races. The fifth era is the era of the National Development Policy began in 1991 until the year 2000. It was drafted based on the vision 2020 which was introduced by the then Prime Minister of Malaysia, Dr Mahathir Mohamad. National Development Policy (NDP) enshrined in the Second Outline Perspective Plan (OPP2). In the same time, the NEP is still retained to achieve a balanced development and growth with equity. National Vision Policy (NVP) enshrined in the Third Outline Perspective Plan length (OPP3). Core OPP3 is increasing resilience and competitiveness of the economy to address the adverse effects experienced during the 1997/98 regional financial crisis. Malaysia Plan and the eight is the first stage towards achieving the objectives of the NVP. So far 2001 and 2005, economic growth is expected to moderate because of problems such as terrorist attacks in New York, SARS, bird flu, rising oil prices due to war Afghanistan and Iraq has implications for economic growth. The Vision 2020 was launched in 1991. The main thrust of the vision is the development of a comprehensive policy to give priority to national unity among the people. The vision is to make Malaysia a developed nation by the year 2020. 8. The theory that more suitable for use in analyzing public policy in Malaysia. Looking at these two theories have explained the public choice theory is the most suitable to be used to analyze public policy in Malaysia. It can be seen clearly when it is associated with the privatization policy in Malaysia. Privatization began getting attention in Malaysia in the middle of 1983 when the Prime Minister of Malaysia launched the Malaysia Incorporated policy that also affect the role of the private sector in the development and management of the country. Privatization opposed to the nationalization, a process that adds ownership and control of government in the economy. In essence, the privatization of some interest or investment involving the particular government to the private sector. If attention to the privatization policies carried out it is the submission of the government to the private sector to operate the company was originally a government-owned rights. Hope the government, as stated by Dr Mahathir on 28 April 1984 seeking to increase privatization of the economy and the performance of services and ultimately improve the growth of the nation as a whole. Public sector not only involved in the preparation of major policy and determine the direction and provision of services but has also been actively involved in economic activity and trade in Malaysia. Size of the public sector has grown so rapidly in the past 10 years. Public sector expenditure has grown so great that from 28% in 1975 to 36% in 1982 and this is a huge financial burden to be borne by the Government. Depressed economic conditions also be the main factors that led to the privatization policy was introduced. The implementation of this policy has been at the helm of a special committee has been established in the Economic Planning Unit (EPU). There are also several other departments responsible for designing the strategy that should challenge national privatization policy. The department is Implementation Coordination Unit of the Prime Minister, Ministry of Finance and Public Service Department. According to public choice theory, the government only plays a minor role in carrying out its role. Thus, although a variety of services and public companies have been handed over to the private sector, yet the government does not give absolute power to the private sector. The government has taken several steps to safeguard the interests of consumers and workers in the private sector. Among the steps taken by the government is control over the fees imposed, impose no retrenchment of employees for five years and holds a golden share in the MAS and MISC to ensure that it operates in the national interest. Analyze public policy is one thing to be done to ensure that policies are implemented at that time was based. Perhaps such a policy is in line with current requirements when it drafted, but not impossible it will be changed due to various factors that occur. Therefore, selecting an appropriate theory to use as the most appropriate theory to analyze the data should be determined by reference to the need and suitability issues to be assessed. In addition to using the theory described in this task of the Public Choice Theory and the Theory of rationalism, the theories such as Institutionalism, Incrementalism, Group Theory, Elite Theory and the theory of games should be understood and applied in public policy analysis, especially in Malaysia. Hussain, Ahmad Attory. (1998). Reformasi Pentadbiran Di Malaysia. Kuala Lumpur : Utusan Publications & Distributirs Sdn. Bhd. Hussain. Ahmad Attory, (1992). Politik Dan Dasar Awam Malaysia. Kuala Lumpur : Utusan Publications & Distributirs Sdn. Bhd. Marican, Sabitha. (1997). Dasar Awam di Malaysia : Isu dan Konsep. Kuala Lumpur : Utusan Publications & Distributirs Sdn. Bhd. Brahim, Malike. (2008). Dasar Awam Di Malaysia. Petaling Jaya : IBS Buku Sdn, Bhd. Ramanathan, K. (1993). Konsep Asas Pentadbiran Awam. Kuala Lumpur : Dewan Bahasa Dan Pustaka. saya kurang faham dengan Redistribution policies..
boleh minta tolong terangkan dengan lebih lanjut..